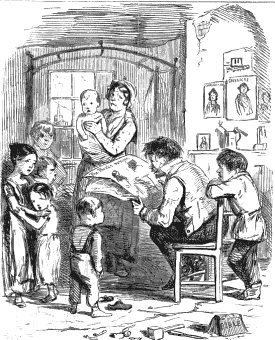 The Life and Adventures of Oliver Twiss, the workhouse boy. Mister Humfries' Clock. A miscellany of striking interest. Nickelas Nickelbery. Containing the adventures, mis-adventures, chances, mis-chances, fortunes, mis-fortunes, mys-teries, mis-eries, and mis-celleaneous manoeuvres of the family of Nickelbery. The Post-Humourous Notes of the Pickwickian Club. Posthumous Papers of the Cadgers' Club. The Sketch Book containing a great number of highly interesting and original tales, sketches, &c. &c.